Sake is an elegant beverage to sip with Japanese cuisine during a special meal or festive celebration. Innovative Dining Guide (IDG) employs three sake experts to guide guests in their upscale Sushi Roku restaurants in Hollywood, Santa Monica, Pasadena and Las Vegas and their West Hollywood Katana restaurant. 1. Sake is made from fermented rice, but the rice is not the same grain that one would eat. It’s a special rice that is larger, stronger and contains less protein and lipid than ordinary rice. 2. To make sake, the outer layers of the rice grain and bran are polished off to expose the center. The more that is exposed, the purer the finished sake will taste. 3. There are three levels of sake. The daiginjo is the premium, then ginjo and last, junmai. 4. Cold sake is better for pairing with food, especially sushi, then hot “sake bombs.” Heating can obscure the quality of the sake, and affect one’s taste buds. 5. 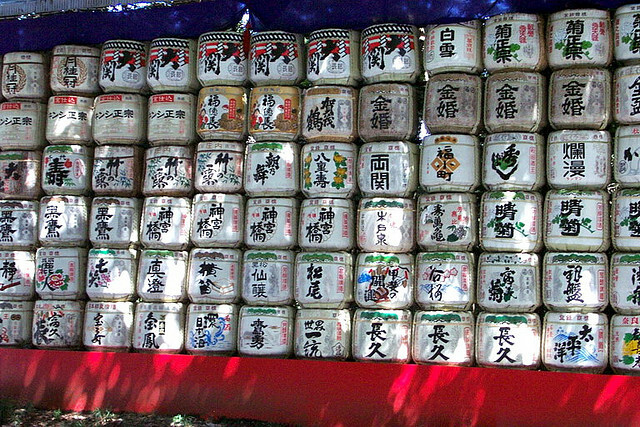 While many people liken sake to wine because it is often called “rice wine,” it is actually more similar to beer. Sake is not made from fruit. Sake is made from a grain and the starch is converted into sugars before being converted to alcohol..
6. When pairing sake with food, Eiji recommends sushi or sashimi with daiginjo sake. This sake is pure, light and offers clean notes that complement the delicate fish without overpowering it. 7. Acidic dishes are best to pair with the crisp, fruit-forward flavors of a ginjo grade sake. At Sushi Roku, the salmon Carpaccio with soy truffle olive oil is a good dish to enjoy with a ginjo sake. 9. West Hollywood’s Katana Restaurant on the Sunset Strip is celebrating its 18th anniversary this year and is offering private label sake bottled exclusively for guests dining in the restaurant. 10. World Sake Day is October 1. It’s a 1,000 year old annual tradition held in Japan that serves as a tribute to the beverage and kicks off the country’s sake production season.